One player has just won the Mega Moolah jackpot worth more than 20 million euros. 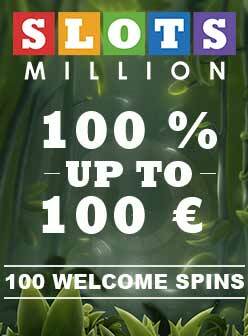 Last September, Mega Moolah's progressive jackpot set a new world record when it paid €18,910,668.01 to a player. At that point in time, it was the biggest win ever in an online casino. This amount has just been surpassed to set a new all-time record. On Wednesday, January 30th, a player was casually having some fun in an online casino. Little did he know that he would make history that day by winning the biggest progressive jackpot of all time on the Microgaming slot: Mega Moolah. With this win, he was instantly transformed in a multi-millionaire! This win by Mega Moolah breaks the record for the biggest jackpot in the history of online casinos. We currently have little information about this historic win, but what we do know with certainty is that it involved the progressive jackpot of Mega Moolah, which had climbed to a record high. He had just surpassed the record mark of 20 million euros, when he managed to crack the jackpot. Unfortunately, we do not know anything about this player, except that he won €20,058,463.50 on a single spin. If you also want to try your luck on a giant progressive slot, you can find many games in the online casinos, including Leo Vegas, SlotsMillion or Cashmio.